Hostwinds is a relatively young company based out of Dallas, Texas that offers low cost hosting options. For your convenience and security, they offer a fully redundant power system; a cooling network and an advance security network that includes armed guards and video surveillance so that you can feel assured that your hosting is safe. Started in 2010, Hostwinds main interest seems to be in providing a good price for its customers. Shared hosting plans have three different levels, the most expensive of which is about $10.00 a month. Beyond the shared plans, Hostwinds also offer business plans, VPS cloud and dedicated plans and some specialized options like Windows VPS and Minecraft sercers. Included in all shared plans is a 60-day money back guarantee, a 99.9% uptime guarantee, 24/7 support and free migration and transfer support. 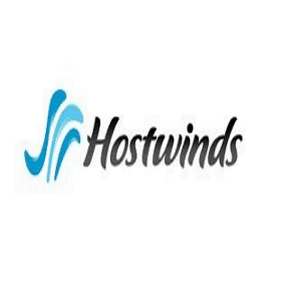 Most reviews and feedback for Hostwinds both on social media point to a pleasant experience with a solid company that focuses heavily on customer support. Their customer support options include a ticketing system that guarantees 1-hour response times, though most clients point out that you can usually get a response within 15 minutes. Beyond that, you can contact their 24/7 support team through chat as well. Also, all their support is US-based. Most of their features package is fairly standard stuff, including WordPress, MySQL, dedicated IP addresses and cPanel but their live chat support options and phone support and their unlimited bandwidth and unlimited disc space are a pleasant surprise. Hostwinds guarantees a 99.9% uptime guarantee for all their plan levels. Most people would probably approach a discount hosting site as having a much more unreliable uptime, but Hostwinds seems unaffected by that. Coupled with the 60-day money back guarantee and their 100% satisfaction guarantee, you will be able to make sure that Hostwinds is exactly what you need for your site. Overall, the average experience with Hostwinds seems to be a good one. Their plan selections seem to cover a broad spectrum of services that most users will find suitable. The company seems to place the greater focus on their affordable pricing schemes and their transfer support. This makes them a great option for people looking to replace their current host. 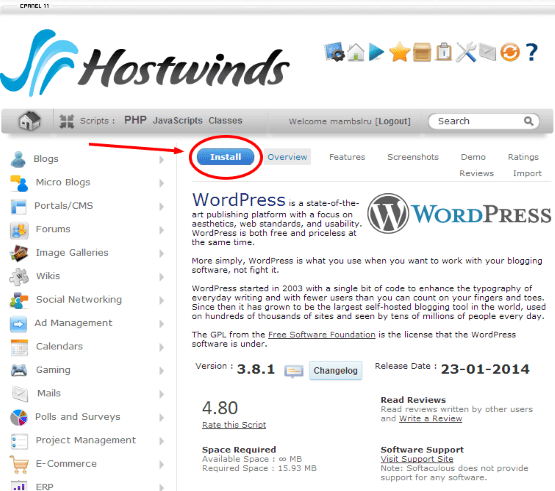 We would recommend Hostwinds for your shared and VPS hosting needs. Hostwinds seems to be a good one. Their plan selections seem to cover a broad spectrum of services that most users will find suitable. The company seems to place the greater focus on their affordable pricing schemes and their transfer support. 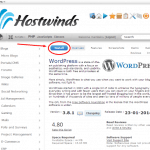 Hostwinds is reliable, inexpensive and easy to use. My website has never gone down!! They have great customer service which is online around the clock. I have switched two of my clients over to you already plus my site, and have completely eliminated all problems I was having. My one client noticed when I switched them over and asked what I did to improve the site and email service. I told them I switched over to you guys and they are thrilled. This is very important because this client is pretty big in Michigan. They are a major publishing company that is in the middle of expanding. They needed reliable web hosting before they could continue on. Thanks again – and don’t change – you are doing a fantastic job. Hostwinds Rocks! As a non-developer I have sometimes had to contact Hostwinds support with what probably seem like pretty dumb questions. Most of the time they have been helpful and prompt, although I have noticed this can vary a little depending on the time of day (I am in Zimbabwe now, I often request tech support help). Overall however I am happy with the hosting and have no complaints. I just wanted to say thank you for the fantastic support I received from Nick who was very helpful, courteous and warm in her emails and I felt the quality of service I received was extremely high and reflects very well on Hostwinds ssd host. Many thanks! until they set it right. I run multiple websites from single page sites through to e-commerce sales sites with hundreds if not thousands of products. 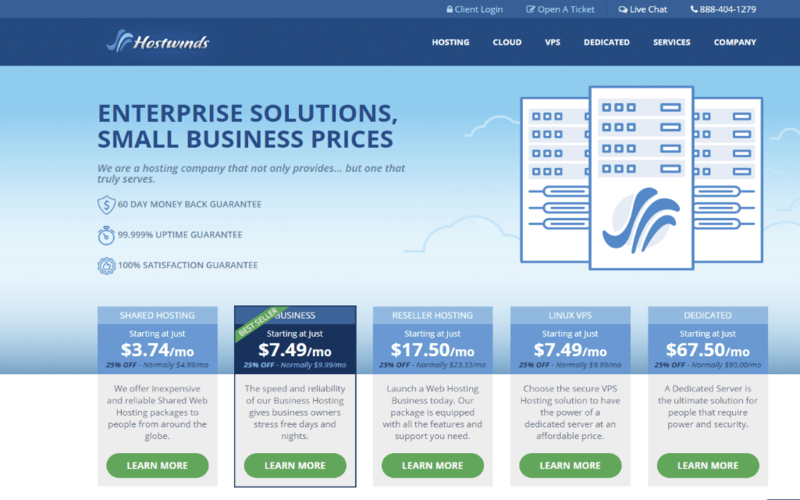 I have over the years used many companies for my hosting needs that was until I discovered Hostwinds Hosting. The reason for this is very easy to explain: from starting with a very simple procedure in registering domain names, the type of hosting required to fast efficient, no fuss flexible setting up of the hosting with options that will suite all needs. Then followed up by very good, easy to use customer support that gives solutions quickly. Hi, I recently set up my second site on Hostwinds service. It seems I get myself in trouble every time I do something new on my computer and this was no exception. Their tech support guy, Michael G, was extremely helpful and displayed the patience of a saint. We spent about 40 minutes on the phone and he finally got my computer and I both firmly back on track. Thanks Michael! It was a pleasure dealing with you. Highly recommended. Top notch customer support and service. Without question, they should be your go to hosting company. up longer than either of my two previous hosting companies. In my book they get 5 out of 5 stars. In an age where there is so much competition, there is one sure way to retain your customers and get new ones – keep them happy so they spread the word, and Hostwinds delivers on every front! Thank you guys, for the last four months of incredible service, and I look forward to many many more to come! Hostwinds is extremely easy to work with, possesses a unique vision of customer needs, and knows the ins and outs of HTML. This unique synergy empowers them to relate to people and their requirements in many ways and on many levels. In fact, their HTML skills have saved the day for me on more than one occasion. I wholeheartedly recommend Hostwinds and am confident they will be a key asset to those lucky enough to use them. I have a small hotel with no in-house technical department to look after my website and e-mail systems, both of which are the life lines to my business. Keeping up with the times and solving technical issues without any computer language skills can therefor be very difficult for us. This is not the case with Hostwinds, fortunately. The staff listen, investigate and respond quickly. They are real people who know what they are talking about and who have the patience to talk to us without using the tech jargon they would normally use with other professionals in their field. This is a rare quality today. Hostwinds has taken excellent care of our business for more than ten years and we have every confidence in them wether you are a small business or a large organisation. I must say that Hostwinds is top web host to deal with. 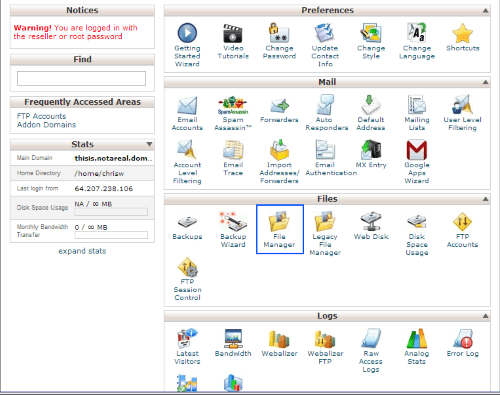 NO SETUP FEE Reliable and affordable cPanel Linux web hosting. So – yeah! I am pleasantly surprised by the service that this decent host provides and would recommend to anyone looking forward to excellent service. I am excited about finding such a webhost and look forward to doing business with Hostwinds for the long haul. 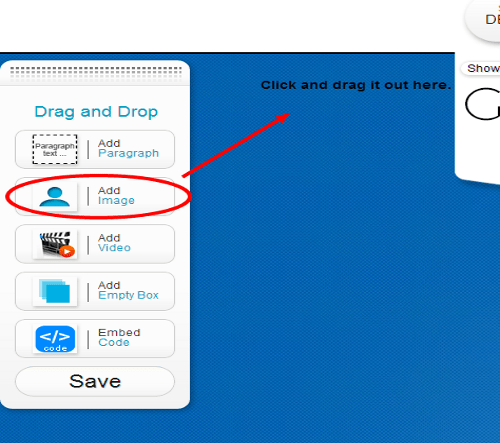 great for any type of website professional or personal. They have a very professional staff and excellent customer support and hosting. Excellent value. Thanks for your excellent services. Steadfast and inexpensive, with solid support. In the three months that I have been using Hostwinds services I have encountered issues along the way; for the most part very minor but one or two have prompted a bit of nail biting! Irrespective of the nature of the problem or our lack of understanding of things server-side, their support guys has always been there for us – efficient, understanding, calm and patient. get started and up 100% of the time..Awesome! As a very satisfied customer, I can happily state that Hostwinds Hosting are a pleasure to work with. Their flexible service was first class – especially when we needed to change our package. We are now loving the more visitors per day! Thanks. 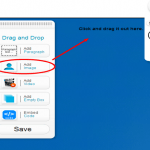 hosting, FREE domain name and outlook email…and that’s just basic! I switched all my WordPress sites over to them and have been VERY impressed with these guys. I would highly recommend them for any sort of PHP/mySQL hosting needs. Hostwinds team have answered my quesions quickly, accurately and clearly. The website and my email are both working well and I’m glad to say my fears over losing everything were unfounded! Every aspect of my website is well taken care of with Hostwinds. Their tech support team are very easy to talk to – they are friendly and responsive. Hostwinds guys know what they do and are talking about. They are customer-oriented and are always ready to help 24/7. Glen, one of their live chat help assistants was very patient with me and explained me everything regarding the use of their website builder – with the help of that tool I build my personal photo site. This is simply amazing. You may trust my statements of Hostwinds that they are the best hosting provider for me. I say that basing on my own experience which is positive and sweet. It has been such a joy having my sites hosted with you! I have had sites hosted with other companies in the past and the service you provided in hosting my site has been by far superior to any other company. The site was online in a prompt manner, emails were answered right away when I had questions and the continued support after the sale has been refreshing. I have and will continue to recommend you to anyone in need of quality web hosting. It’s wonderful to know that in this age of technology, personal customer service can still be found! Thank you for helping to make my website a reality! Valuable and trustworthy company Hostwinds is! I think so because of their top-notch services which are provides in a webmaster-friendly manner at very modest rates. I wanna say that my hosting experience dealing with Hostwinds team is perfect. Never had such a great web hosting service. I could not have done the setup of my site without Michael, his replies were fast. They gave me all the instructions, which were easy to understand – They made it possible for even a non-techie like me to do. They offer fast responds, extremely helpful advice – this what I call a good hosting service. Due to Hostwinds company, I have my website online around the clock. Any question of mine is answered in time and in a quality manner. I am using my ssd shared hosting account for a month now. Its a deal on the price for web hosting. Support is great. Live support is almost always online. Get fast reply on email. Help when problems is quick. I have a have website with 60+ database tables and everything loads fast (dont have much traffic yet). The only thing I dont quite like with the shared hosting is I dont have ssh but most of hosting companies dont allow this on linux for security/performance reasons. It’s really hard for me to find a right host which is suitable for my demands but Hostwinds is that company which are able to satisfy all my demands. Have never experienced any downtime and network is stable and rock-solid. Work well. Using hostwinds plans I have succeeded in the IT industry. Their services are full of resources which are helpful for running a websites quality and smoothly. Support is active around the clock. Good and reliable company Hostwinds is! Servers are reliable and stable as a rock. Prices are competitive. And their technicians are skillful and active for 24 hours. I am glad. Hostwinds have grown quite a bit since they became my webhost, but their support staff and policy has never faultered. 24/7 Email support and Live Chat are there when we need it, even in the middle of the night! Phone Support is available during the day light hours and provides a perfect opportunity to get some first hand information and assistance from a friendly voice always ready to help! First I used free hosting offered by my previous host then upgraded it transferring my site to paid hosting account offered by Hostwinds. Their customer technical support was responsive and very helpful in transferring my files and setting the things up. I have been here for 6 months, and uptime has been 99.94%. All my questions have been answered within 10 minutes of submission. Server is fast, uploading files is fast, price is low. No doubt, websites will be in reliable hands if you choose Hostwinds – Personally I’m 100% satisfied running my web sites with them. My site is always up. I’ve never had any down time. Never had any problem with Hostwinds. My previous host charged my credit card for renewal and the site disappeared. I have never had a single problem with them and highly recommend then to both beginners and experts alike. These guys were able to get me up and running in minutes at 1:30 a.m. They’ve always answered me ASAP and were able to set up my webmail account through Horde in a snap, which anyone else has been able to do! They also have speedy customers service. Love it, I’ve never made a website before but these guys are patient and helpful. Thanks to them I have got quality services at a very reasonable price. Usually I do not give feedback on services because usually everything is average. In this case I can not express how impressed I am with Hostwinds Hosting. My site is extremely fast and responsive, even more than I imagined.